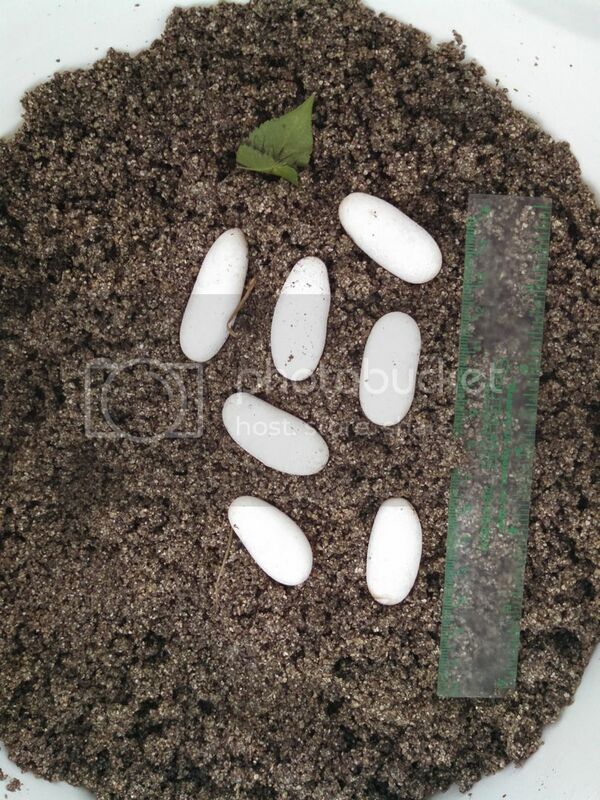 63 days ago (June 26th) I found 7 ~1.5" long eggs under my garden boards. I put them in a bucket with damp vermiculite and have let them sit. I kept them upright as I found them, but spread them out a bit. The temperature is kept between 76 (night) and 80F (day). 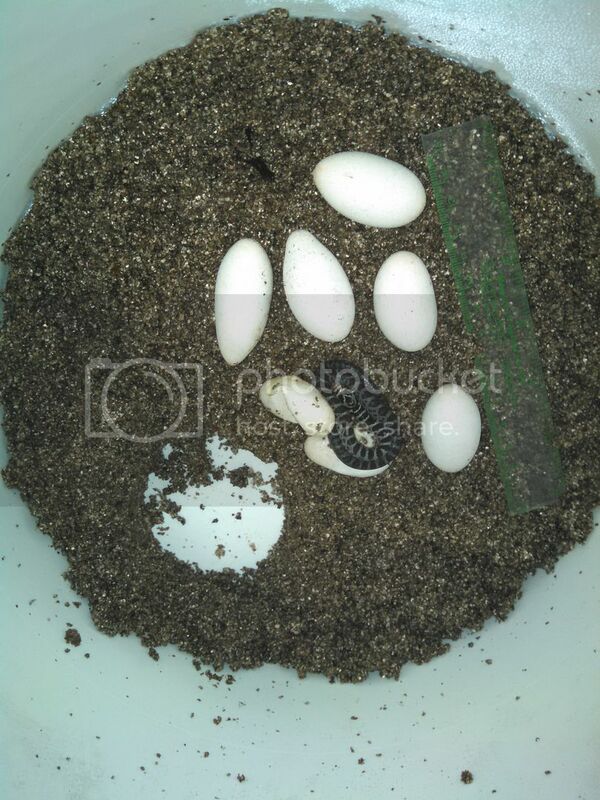 I'm 90% certain they are black racer eggs, but really am not sure. So far no discoloration or odors. I somewhat candled one yesterday and saw veins, so I think they're viable (or at least that one). They have changed shape over the 60 days. They were first much more oblong than now. It is as though they have swelled a bit. 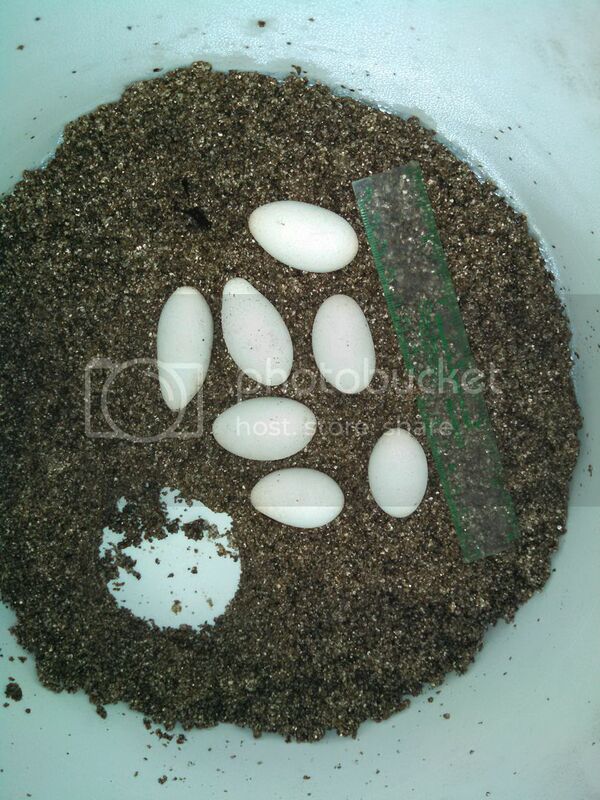 I figure they're due to hatch any time now...actually I figured they would have already hatched. 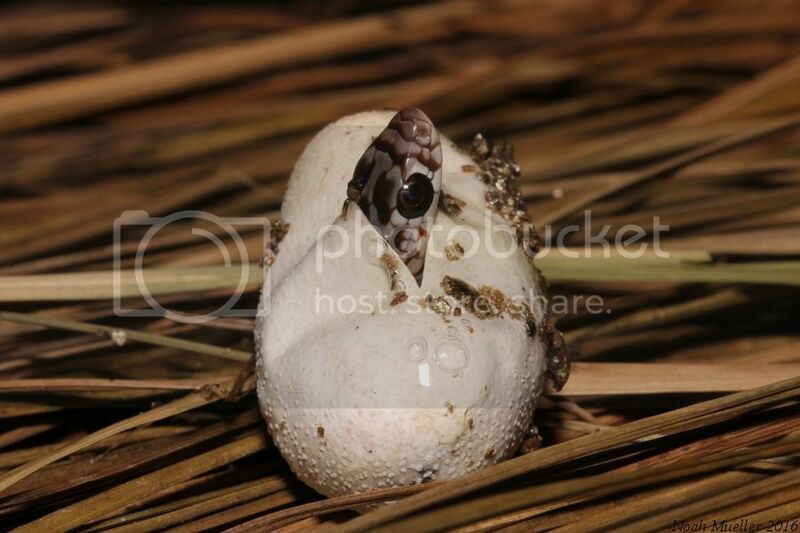 I found a study that said racer eggs should take between 40 and 60 days to hatch...so is there a sign or something I can look for to let me know for certain when they're going to start pipping? When you have a variable temperature, I imagine those time frames won't be too helpful. When I had eggs I let the temp drop a little at night and the incubation frames stayed within the conventional ranges. The swelling always seemed to be a reliable cue. On check the eggs I would notice had tipped or turned ever slightly with the baby shifting around, which I could notice sometimes when I set my eggs on the verm without seating them in it. I have taken a few pics already. I can try to get them up this week. So far nothing is shiny or sweaty. Also, I made little depressions for them so they wouldn't roll around too much . The vermiculite is still moist, though less so. I made a depression for a red solo cup too. A friend suggested that if I was concerned about humidity to place a cup of water in, but so far I haven't felt like I've needed it. I will be looking for dimples soon then. 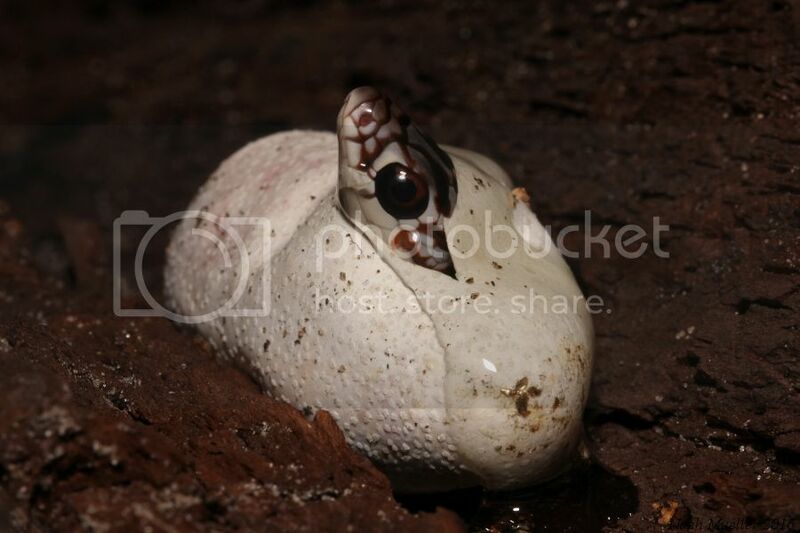 I hope to have a few cute baby snakes very soon! How they looked on the day they were found. How they looked 2 months later.